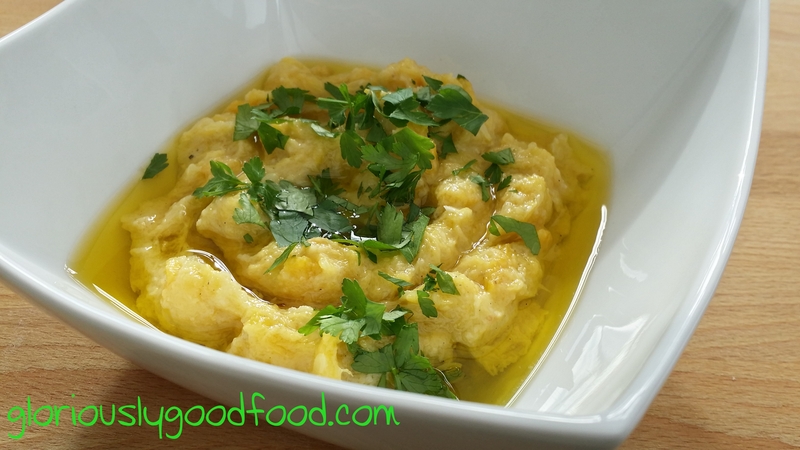 This is an alternative / variation to Baba Ganoush and equally delicious! Slice the marrow in half lengthways (if it’s particularly big you might have to cut it into chunks. If it is the type of marrow that has big stringy seeds inside that you can scoop out, then scoop them out (I had to do this for the yellow one but not for the courgette/zucchini-like long green one). Drizzle on some olive oil (you don’t necessarily need to use extra virgin for this bit) and sprinkle on some sea salt. After about 10 minutes, turn the marrow pieces upside down, skin up, and place back into the oven for about 15 minutes. Turn them back over, so the flesh is facing upwards, and cook them like this for the rest of the time, until they are nice and soft. 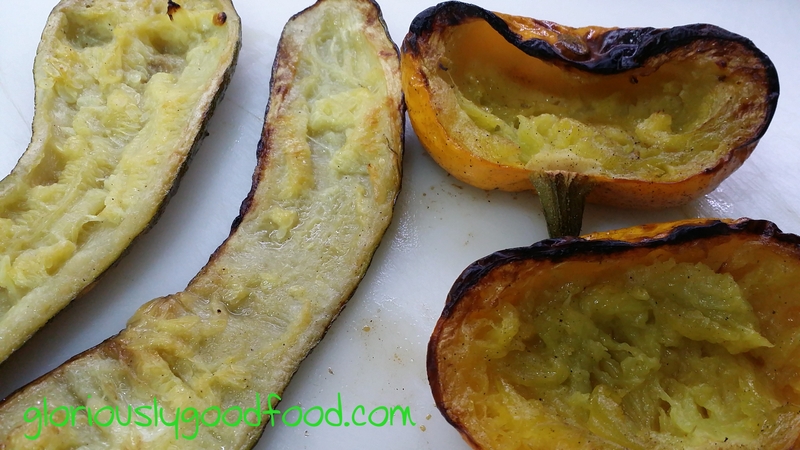 Overall cooking time is likely to be 30-45 minutes but depends on the size of the marrows you are using. Pour off any liquid that may have accumulated inside the marrow, place on a chopping board and leave to cool for a few minutes, then scoop out the insides and place into a bowl. You will need to leave it to sit for a bit so that the excess water starts separating – gently squeeze the excess water out as you tip it carefully into a sink. You may have to repeat the squeezing a few times so that you don’t end up with a soggy dip! Finely chop the garlic and mix it into the marrow flesh, along with the tahini, a generous amount of extra virgin olive oil, lemon juice and salt & pepper to taste. Once you are happy with the taste, drizzle more extra virgin olive oil over the top and sprinkle on some chopped parsley leaves. Refrigerate until you’re ready to eat – if you can wait that long!! Marrow Dip – Gloriously Simple, Gloriously Good! This is my version – Enjoy! Then scoop out the flesh carefully with a spoon and place into a bowl. You may have to squeeze out excess water with your hands and drain the extra liquid away. 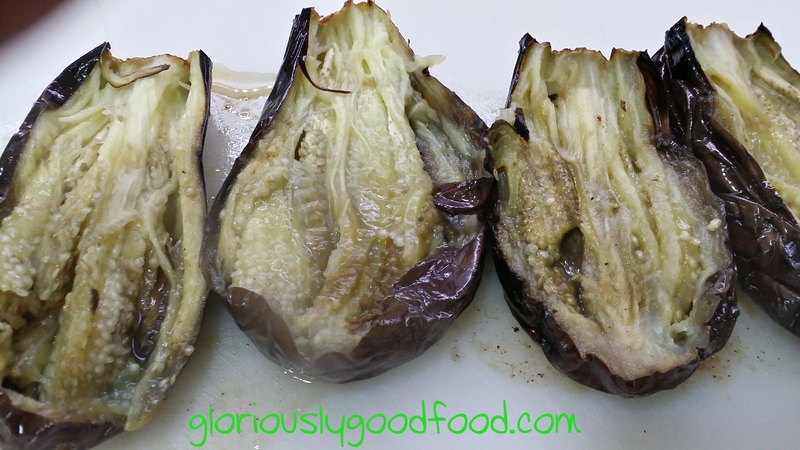 Finely chop the garlic and mix it into the aubergine flesh, along with the tahini, a generous amount of extra virgin olive oil, the lemon juice and salt & pepper to taste. 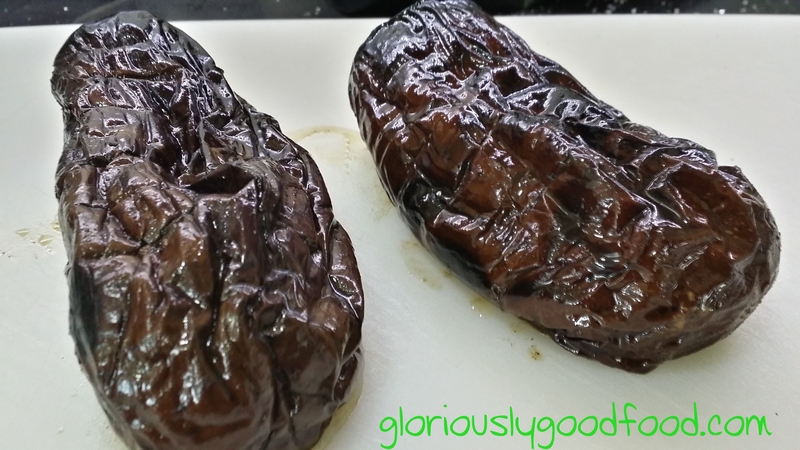 Refrigerate until you’re ready to eat it – if you can wait that long!!! Serve with toasted pitta bread. 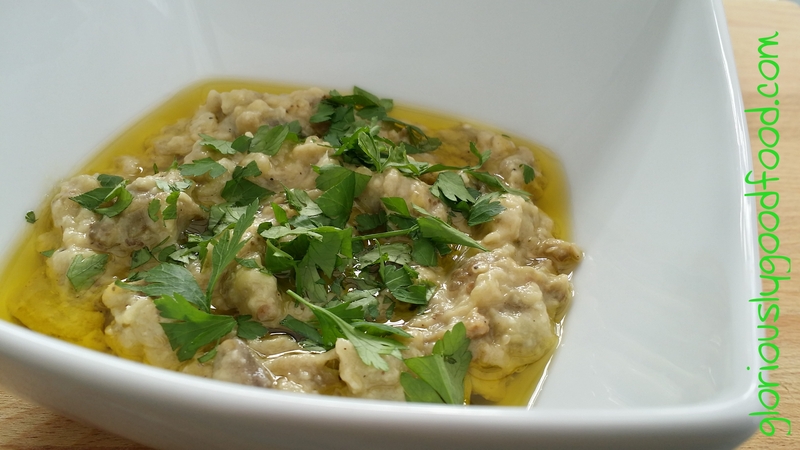 Baba Ganoush – Gloriously Simple, Gloriously Good!